Hitting the road and heading to Gippsland? Hoping to score a hotel in Kalimna? You'll find 33 listed options within a radius of 5-kilometre. 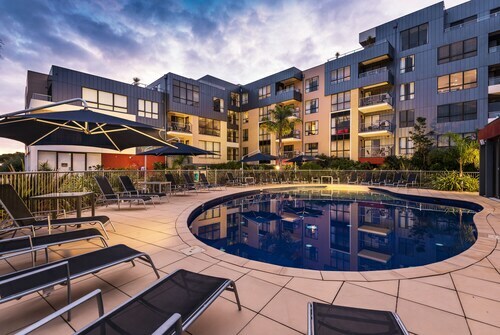 Think about spending some time at the Comfort Inn & Suites Emmanuel or the Absolute Lakes Entrance. They're both a few steps away from the heart of the action. Wotif also offers the Kalimna Woods Cottages and The Esplanade Resort and Spa. Admire the architecture of Cunningham Foot Bridge from the edge of the river. Best Western Coastal Waters Motor Inn and Kickback Cottages are handy options if you're eager to be close this attraction. The expert vintners at Wyanga Park Winery are keen to tell you all about their winemaking process. You should sample a few drops before selecting a bottle to save for later. Stay at Lakes Caravilla Caravan Park and Lakes Waterfront Motel & Holiday Cottages and you can visit this site as much as you like. If you find yourself requiring more options in Kalimna, look into the Bamboo Motor Inn and the Heyfield Motel & Apartments. They are 2 kilometres and 2 kilometres away from the city's main streets. Wotif also suggests the Shifting Sands Motel and the Emmanuel Holiday Apartments. The first is 2 kilometres away from town, while the other is 2 kilometres away. But wait, there's more! Gippsland offers loads of other great things to see and do. Gippsland has rural landscapes, beaches and forests. Popular Gippsland tourist destinations are the history museums, art galleries and open-air markets. In this region of Australia, tourists can also go hiking and horse riding. If you'd like to go to some nearby localities, try Metung and Paynesville. Journey 11 kilometres to the west of Kalimna and you'll locate Metung. That said, Paynesville is 20 kilometres to the west. 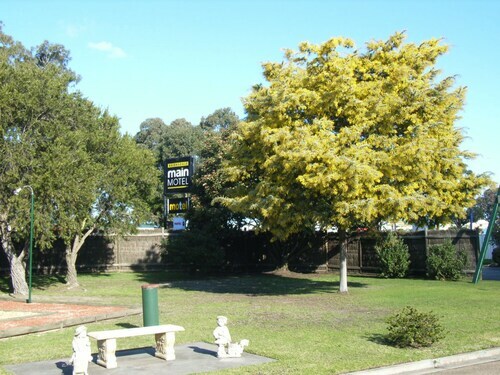 Metung accommodations are the Swan Reach Holiday Park and Bancroft Views Apartments. Paynesville choices are the Mariners Cove at Paynesville Motel & Apartments and Captains Cove Waterfront Apartments Paynesville. Merimbula Airport is the nearest preferred airport for accessing Kalimna and is 200 kilometres drive from the city centre. If you would like to stay nearby, try the Best Western Fairway Motor Inn or the Beach Cabins Merimbula. How Much is a Hotel Room in Kalimna? Hotels in Kalimna start at AU$15 per night. Prices and availability subject to change. Additional terms may apply. They had an indoor pool when the water was too cold in the open air pool. Pool areas were all clean and tidy. Nice little apartment and very clean. Excellent Wifi !